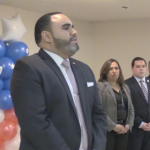 An employee of the West New York Department of Public Work was given the podium today as he told a story about how Mayor Felix Roque demoted and suspended him over tearing down campaign signs, though the mayor’s camp disputed most of that narrative. Public Safety Commissioner Gabriel Rodriguez stood with Angel Alfonso, an 18-year veteran of the DPW, during a press conference this morning where they alleged the worker was retaliated against after tearing down a Roque campaign sign on a utility pole on April 9th. “This has always been a task that Mr. Alfonso has been responsible for. 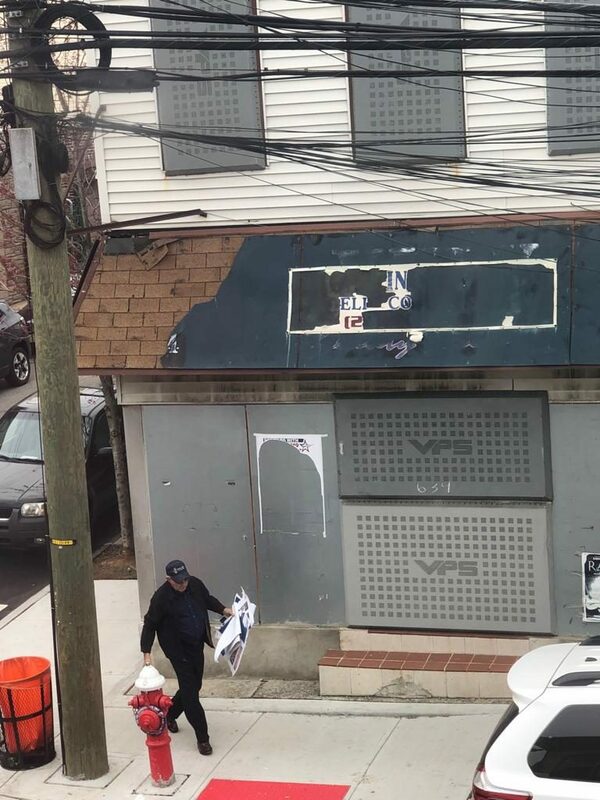 This ordinance is over 20 years old and in his time at DPW, this has always been one of his responsibilities: it applies to political posters as commercial posters, anything on public property,” Rodriguez said at the New Beginnings West New York headquarters. The commissioner, who is looking to unseat Roque on May 14th, insisted that this was part of Alfonso’s regular day-to-day duties. Alonso, a political prisoner in Cuban between 1959 and 1979, spoke in Spanish for the majority of the half hour or so presser. 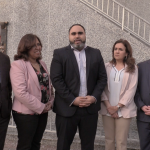 During his remarks, he was adamant that Roque’s administration, specifically DPW Commissioner Susan Colacurcio and DPW Director Silvio Acosta, began to come after him once he tore down the sign in question. Additionally, he claimed that he was demoted him twice since election season started and was issued a five-day suspension last week, though he is still going to work upon the advice of his union representative. At this point, his friction with the mayor and his allies hasn’t impacted his paycheck, though he is not sure if that will be the case during the next pay period. 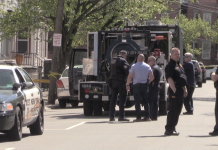 “I came to this country to escape this kind of political persecution and it is deplorable to see a fellow Cuban in Felix Roque stoop to this level,” Alonso, who identified himself as a DPW supervisor, said in a prepared statement. However, in response, Roque said that Alonso was suspended for insubordination and that he is not employed as a supervisor on the books. 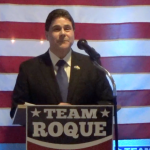 “Obviously, this is just an attempt to falsely divert attention to the fact that they have no real issues to run on so they are trying to create an issue out of an employee intentionally refusing to work,” Roque began in his own statement, proclaiming that Alonso’s civil service title is “Laborer 1″ and that he’s never been demoted. 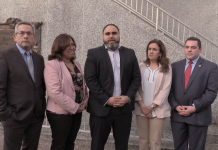 Roque continued that his political opponents are trying to reward employees who don’t want to work, also alleging that he did not tear down the sign while on the clock. 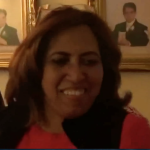 Furthermore, Francisco Torres, Roque’s campaign manager, filed a police report against Alonso on April 10th, claiming that he removed approximately 25 of their campaign signs on private property – 6100 Washington St. 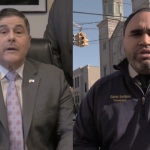 The West New York municipal elections are less than a month away, with the action ready to reach a boiling point on May 14th. The Roque campaign says this photo is one example of evidence that Angel Alonso removed political signs from private property last week.